Evidence of this is Hatch, the company's software engineering apprenticeship program designed to be a bridge to a potential career in tech. Hatch helps Twilio hire and grow exceptional talent from sources that other tech companies may not be considering. That’s especially important for job-seekers in underrepresented groups, those with non-traditional educations, or self-taught developers who might not rise to the top of a traditional candidate search. Seeking engineers where others don't. The Hatch program starts with a rigorous application process, including an extensive online application and coding exercise that allows Twilio to identify talent well before even meeting the applicant, and a full-day onsite interview for selected candidates. Those who show promise are brought in for a six-month train-to-hire program, with the aim to convert apprentices to full-time software engineers and get them on a path to senior positions. “Those with well developed technical and interpersonal skills are likely a good match” he added, citing that Twilio expects proficiency in at least one programming language and web server and UI framework. Experience with web apps, REST APIs, and databases is also beneficial, as is a public GitHub portfolio of software projects. “That will definitely help an application stand out,” he said. Softer skills are also necessary. “Good communication skills and a thirst for knowledge are very strong indicators of success,” he stressed. And because Twilio faces the same challenge as every other tech company — a lack of representation of certain identities in the engineering organization — the Hatch program specifically looks for individuals who will contribute to Twilio culture instead of assimilating to it. “Candidates who can demonstrate this will have an edge,” smiled Vivek. Hatch apprentices spend the first few months together as a cohort learning about Twilio’s technology platform while getting up to speed on Twilio’s products, systems, and processes. During this first phase, the apprentices will jointly work on an internal tool or product offering and also build their own individual Twilio apps. In the second phase, each apprentice pairs with an engineering manager and a technical mentor, and is integrated into a product engineering team delivering on customer-facing software features. Throughout both phases, Hatch apprentices have access to formal training to develop their technical and interpersonal skills. 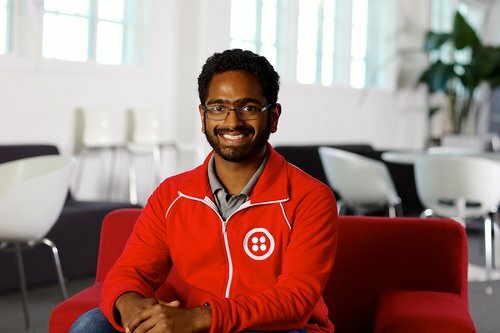 With focused mentoring and training, Twilio can accelerate an apprentice’s growth such that they’ll be capable of being productive members of the engineering organization by the end of the six-month cycle. If so, they’re offered to return as full-time employees. Setting the framework for leadership roles. Program evolution might include cohort location, size, and frequency. For now, the Hatch apprenticeship is based out of Twilio’s San Francisco headquarters, but the company is likely to explore the viability of extending the program to satellite offices down the road. And, as Hatch starts to become more established, the number of cohorts will probably increase and involve more product teams working in a broader variety of projects. In this way, the company can organically grow the program, resulting in new hires with even more diverse educational experiences and from additional under-represented backgrounds. Michael Morel who, before learning about Hatch from a friend, had hopes of starting a photography studio while attending coding school. Mel Chang, a career changer with an art degree, previously worked at non-profits, most recently as a digital strategist and project manager for San Francisco’s Asian Art Museum. Lyra Hall, who ran experiments as a biotech lab technician before realizing she’d rather be the engineer creating the tools she was reporting bugs on. Andi Oneto, whose resume included stints as a winemaking assistant, a safety manager for an industrial repair shop, and a biochemistry lab tech at a food science company. What did you like most about your experience with Hatch? Michael: The part I liked most was the bond created amongst current Hatch apprentices and graduates from previous cohorts. It’s like a supportive family where we would all help each other succeed. Mel: Working as a cohort during the first part of the program felt like an extended boot camp experience. Then, on the product teams, I was impressed with how immersed we were. Most of us had code in production in the first week. Lyra: My cohort all came from different backgrounds and had different skill sets, so there was a tremendous opportunity to learn from and teach each other right off the bat. Andi: I love the community. It was amazing to work with other talented people and navigate the experience together. I’m excited to grow that community when the next cohort comes home. Mel: I was most surprised with how hands-on the apprenticeship was. We were integrated as full team members and made regular contributions to the day-to-day work. Lyra: For me, it was just how much I was capable of learning in such a short time. When I arrived, I knew nothing about the Scala programming language, but by the end of the apprenticeship, I had come so far that I was able to teach others some Scala tricks. Andi: Hatch gave me a space where I felt comfortable coming in, being honest about my experiences, and being valued for them at the same time. It was an experience I never thought I would have in tech. Did going through the apprenticeship reveal anything about yourself? Michael: The scrappiness I bring to problem-solving and the ability to share my views on how to improve existing processes — these were validated and honed through Hatch. Mel: I was able to confirm that this is a career path I want to pursue and that I have the skills to get there. Lyra: Writing fluent and logical code is just the bare minimum. Code is a way of communicating with people who will work with it in the future, so you have to write it in a way that it will be understood and maintainable. I learned that I already have some of these skills, and identified others to keep working on. Andi: I’ve learned — and am still learning — the art of mentorship, as well as how much I love being a mentor! What made your Hatch experience successful? Michael: I’m good at being thrown in the frying pan and making it work. Hatch is not easy, and at times it can be overwhelming, so being able to handle the stress and act under pressure is vital to your success. Mel: Career changers can bring experience and maturity that help them navigate other workplace challenges. I admire that Hatch recognizes that technical skills are a fraction of what it takes to succeed as a developer and that it was created to help on-board people who have not spent years training for tech careers, by truly valuing a candidate's potential in addition to current resume and skills. Lyra: My Hatch teammates and mentors knew how to effectively and clearly communicate their expectations. And by setting a reasonable bar for me to meet, they empowered me to succeed. Andi: Viewing success as a team measurement, first and foremost. On a personal level, having patience, strong communication skills, and the willingness to both learn and teach will only get better during Hatch. Hatch is excellent for people looking for someone to give them a shot to prove what they’re made of. 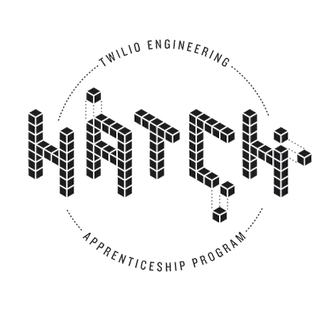 If you’re hungry for the challenge, if you have a curious mind, and you want to make a real impact on your workplace, then you should apply to Hatch. Applications accepted online from December 17-31, 2018. Candidate interviews will take place during January 2019. Candidates can expect technical screens, phone interviews, and a full-day onsite as part of the interview process. 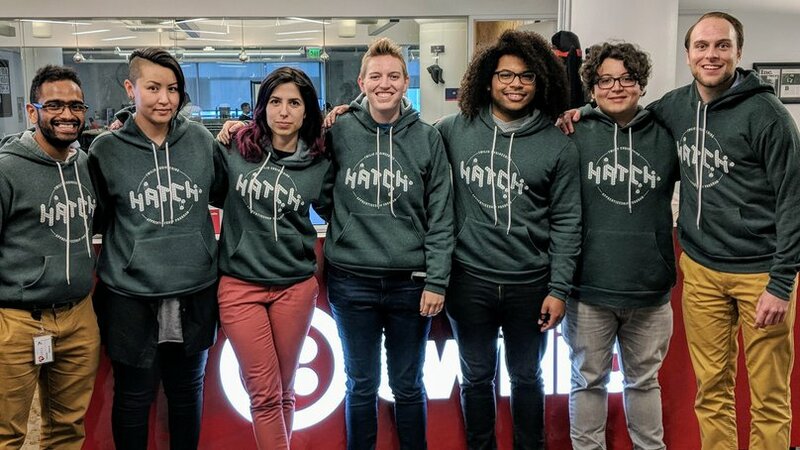 Hatch v3 will begin on February 25, 2019. Find out more about the Hatch apprentice program and apply to become one of Twilio’s next software engineer apprentices.